The 1930s were a tumultuous time for America coming out of the Great Depression. It resulted in some fantastic paintings and a collection of 45 of them are on display at the Royal Academy of Arts. 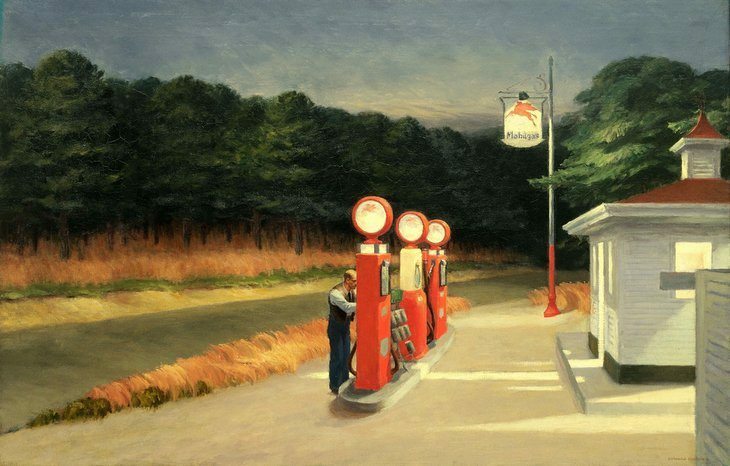 There is the mysterious and always brilliant paintings of Edward Hopper and the domestic snapshots by Grant Wood. Covering landscapes, abstract art and surrealism this is a brilliant collection of painting. One of the best exhibitions of the year so far. Until 4 June. I step into the darkness. Mist pumps out of the ceiling as we approach a table of robotic figures. They whirr into life and talk in hushed tones about sin, forgiveness, guilt and judgement. 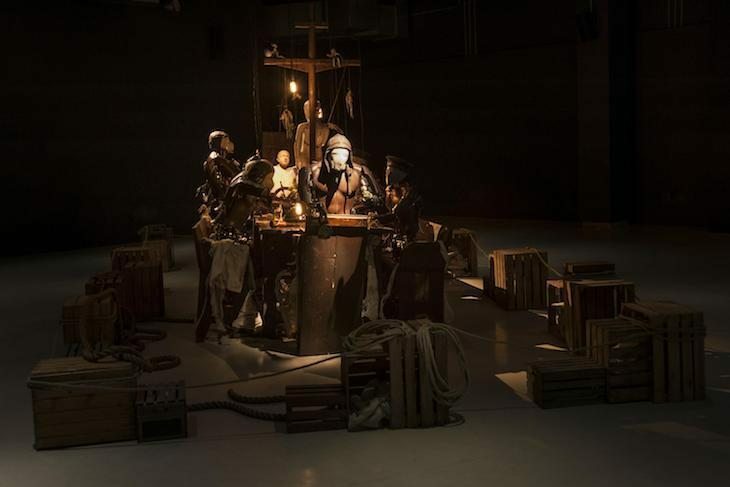 This is the Last Supper, but not as we know it; Giles Walker has created his pseudo-biblical scene using old CPR dummies. Bells ring and decks creak, as we realise we’re all at sea. Performances happen four times a day. Until 4 June. 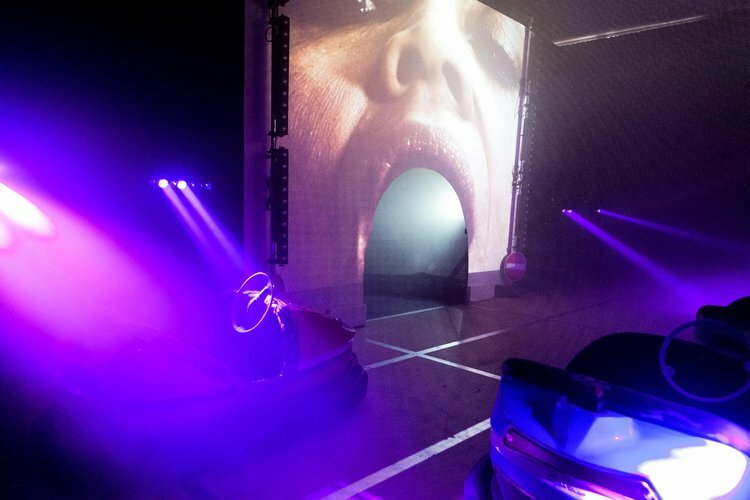 A bizarre art installation where driving a vintage dodgem leads you to inside a mixture of music and video, all from the driving seat. Until 4 June. 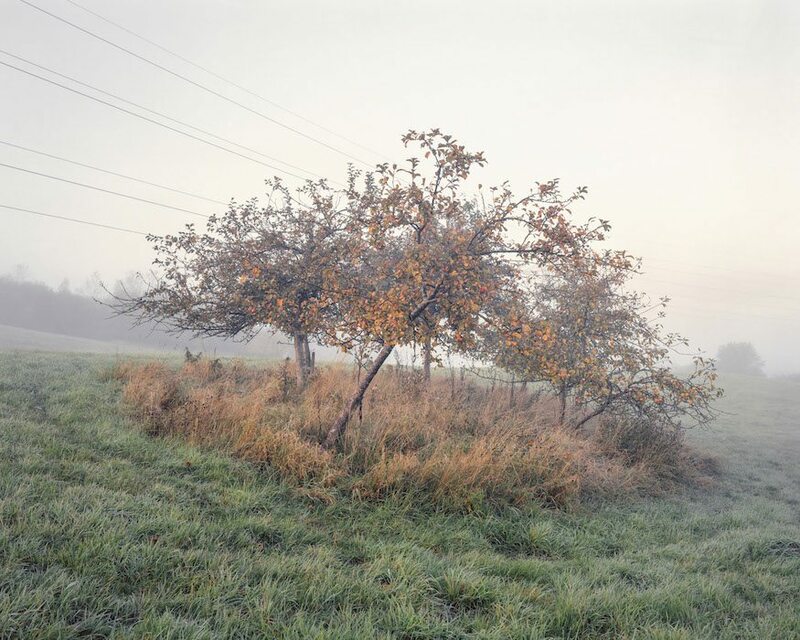 Landscape photography may not seem like the most exciting subject matter, but this selection of ten artists all take it in different angles. From the realistic to the abstract, this is an impressive collection of beautiful works. Until 3 June. Vanessa Bell’s sister, Virginia Woolf, may be better known but Bell was an accomplished painter in her own right. 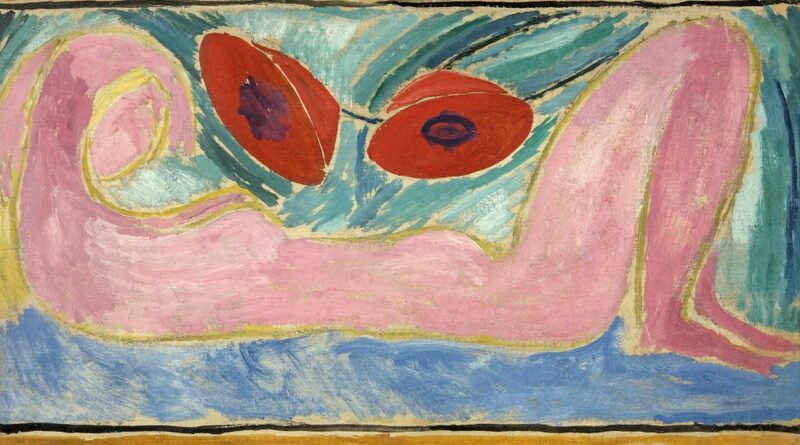 She was constantly trying new styles and the influence of the likes of Matisse and Picasso may be seen in her work. While there are some great works in this show, the exhibition highlights that Bell never really found her own distinctive style. Until 4 June. 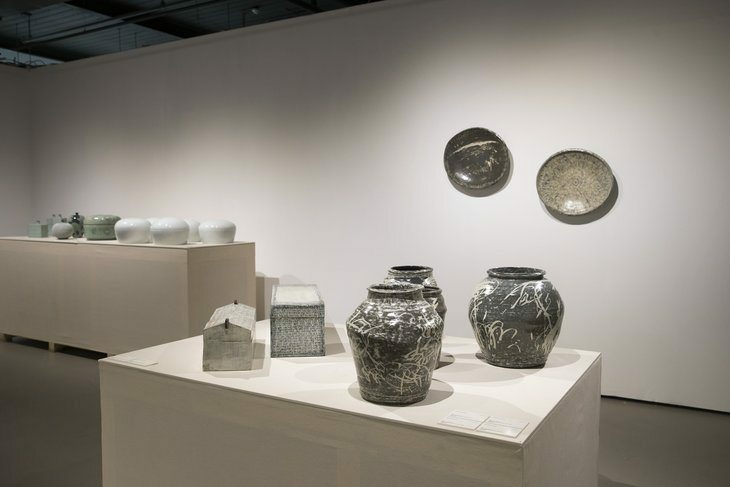 Korean masters come together for this exhibition of beautifully subtle ceramics. Each piece is quite minimal and bears a strong similarity to the Dansaekhwa school of Korean painting, in presenting a meditative calm by preferring the subtle over the showy. Until 3 June. 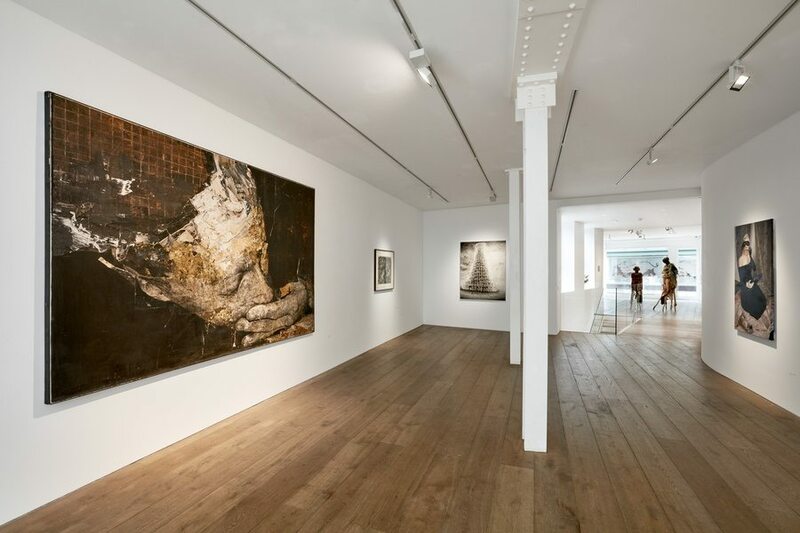 An impressive collection of figurative art including a totem by Huma Bhabha and the fantastic rustic detail of Nicola Samori’s painting. Until 3 June. 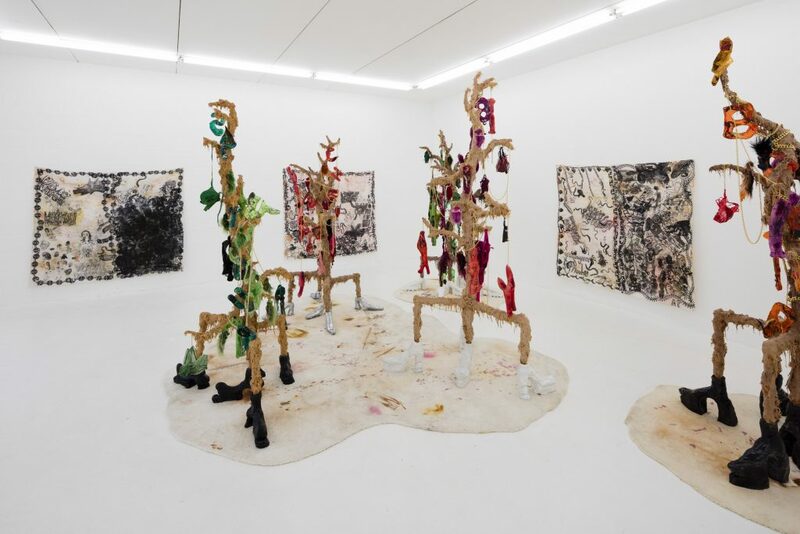 Artificial trees with multiple feet wear female clothing in this bold, fun and frankly bonkers installation. Until 3 June. This entry was posted in EXHIBITIONS, The Top 5 Art Exhibitions to see this week and tagged america after the fall, athena papadopolous, ceramics, dodgems of your mind, drive dead slow, Dulwich Picture Gallery, Emalin, fitzrovia, Giles Walker, inside the outside, korean cultural centre, Mayfair, MERGE Festival, mmx gallery, new cross, Painting, Photography, rosenfeld porcini, Royal Academy of Arts, science museum, Sculpture, the last supper, the smurfette, Vanessa Bell. Bookmark the permalink.